Chartism may take its name from the document drawn up for the London Working Men’s Association by William Lovett, but by late 1839 it drew the bulk of its support from the industrial workers of the North of England whose principal complaints were about wage cuts and the brutal New Poor Law workhouse system, and who took their lead from Feargus O’Connor and his Northern Star newspaper. All this changed the nature of Chartism dramatically. The LWMA had never seen itself as a mass party, nor was it at ease with the great meetings and demonstrations that were adopted as the principal tactics of Chartism following the rejection of the first national Charter petition by Parliament. For the serious-minded artisans who made up the LWMA, achieving the Charter was a question of persuasion and of argument: by putting a moral case for reform, they believed, they could convince the middle classes, and Parliament, to embrace democracy. In turn, the felt, this meant having an educated working class able to exercise its democratic rights sensibly and in full understanding of the relevant issues. Despite this more peaceful approach, it was William Lovett rather than Feargus O’Connor who went to prison in the crackdown on Chartism that followed the rejection of the first petition. As secretary to the first Chartist Convention, Lovett’s name appeared on a series of resolutions that were to be printed and distributed around Birmingham condemning the use of the London police to suppress disturbances in the town. Lovett was arrested and held for five days, missing the end of the Convention before being released on bail. On 6 August 1839, he and John Collins, a leader of the Birmingham workers who had taken the resolutions to be printed, were brought to trial at Warwick Assizes and sentenced to one year in gaol. Though both men suffered badly in prison, they managed to write a small book, Chartism: A New Organisation for the People . In fact, the book was almost certainly the work of Lovett alone. Published shortly after Lovett and Collins were released in July 1840, its message was that Chartism now required a “new organisation of the people” – in effect a scheme for a national system of popular education and self-improvement that would be financed by popular subscription and provided independently of the state. This plan was to be effected though the creation of a National Association of the United Kingdom for Promoting the Political and Social Improvement of the People. The ideas set forth were not greatly different from an address drafted by Lovett for the LWMA four years earlier. But the proposal sparked a storm within the Chartist movement, and provoked a torrent of abuse from O’Connor and his editor, William Hill. In his later biography, The Life and Struggles of William Lovett, Lovett recalls that the book “was no sooner issued than it was denounced by O’Connor and the writers in his paper, the Northern Star , as a ‘new move,’ concocted by Hume, Roebuck and O’Connell for destroying his power, and for subverting his plan – that of the ‘National Charter Association,’ and his land scheme”. 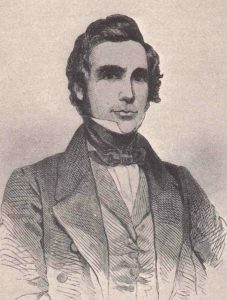 In O’Connor’s defence, it should be said that, though he has been condemned by later historian, O’Connor succeeded in keeping the disparate Chartist constituencies united for nearly a decade only by stamping hard on all initiatives that would divide Chartists against each other (as Christian Chartism and Temperance Chartism threatened to do) or to take it down avenues where it would lose focus (as was the case with Knowledge Chartism). According to Lovett 86 supporters signed the plan that provoked such fury, and as a result of this support, a further address was issued in October 1841. Soon after, Lovett’s supporters formed a group calling itself “The London Members of the National Association”. Its first secretary was Henry Hetherington, and his successor was Charles Westerton, “a gentleman who subsequently as churchwarden at Knightsbridge, rendered great service to the Liberal cause by his opposition to Puseyism ”. [Editor’s note: Puseyism after Edward Bouverie Pusey, a High Church Anglican theologian and leader of the tractarian movement – see, for example, his biography in the Catholic Encyclopedia]. Despite his bitter battles with O’Connor and his advocacy of an alliance with middle class radicals, Lovett remained attached to the Charter and its six points. At the end of 1842, with O’Connor himself apparently warming to the idea of collaboration, a “Unity” conference was organised to bring together the Birmingham radical Joseph Sturge and the Complete Suffrage movement with the working class Chartists. This conference, Sturge’s supporters sought to hijack, proposing an alternative to the Charter which, though similar in content, abandoned the name of Chartism. Lovett sided with O’Connor and the National Charter Association in denouncing the attempt – and in the wake of a vote that left Sturge in the minority, the supporters of the Complete Suffrage movement withdrew from the conference. Lovett, however, had no stomach for further alliance with O’Connor, and left the leadership of the movement to him alone. From this point on, Lovett was to cease to play any important role in Chartism. He and his supporters turned their attentions instead to the National Hall they had established in Holborn as a venue for public meetings, lectures, concerts and “classes of all kinds, to most of which the public were admitted on reasonable terms”. The hall also boasted coffee rooms and a library for the use of members. It had, however, cost the London Members £1,000 to repair and equip, and a debt of £400 not covered by subscriptions hung over them throughout the organisation’s existence. Eventually, Lovett recalled, this “was one of the chief causes that led to the dissolution of the society”. In 1846, Lovett handed over the secretaryship of the National Association to Charles Neesom – once considered so radical that he had trouble gaining admission to the London Working Men’s Association, but, since throwing in his lot with Lovett in 1840, a trusted ally. However, the National Association struggled on just until April 1849 before debts overwhelmed it. Lovett continued to devote himself to education. In May 1849 he gave evidence to a select committee of the House of Commons inquiring into the establishment of public libraries – a cause he heartily endorsed. And in March 1850, on the invitation of the Bishop of Oxford and of Henry Cole, later to be the first director of the Victoria and Albert Museum, he agreed to become a member of the “Working Class Committee of the Great Exhibition” alongside Charles Dickens, William Makepeace Thackery. Henry Vincent “and other well known personages”. Disaster struck in 1857, however, when the school that Lovett had run in Holborn was evicted from the National Hall and the building converted “into a gin palace”. Lovett was to continue teaching elementary anatomy and physiology for a further 10 years, also writing books on astronomy and geology while inveighing against the teaching of religion. Always intellectually curious, Lovett’s autobiography also records his invention in later life of a “self registering ballot box” aimed at providing a cheap, just and efficient method of electing MPs. Henry Hetherington – the Owenite publisher of radical newspapers and founder of the LWMA; born 1792, died of cholera 1849. John Cleave – printer, bookseller and publisher of Cleave’s Weekly Police Gazette, also a founder member of the LWMA; born c1790, died 1847. Henry Vincent – London-born radical whose oratory was well received in the West Country and Wales, where he was a missionary for the LWMA; abandoned physical force Chartism and split with O’Connor over this and teetotalism; born 1813, died 1878. James Watson – Originally from Yorkshire, moved to London and became active in the campaign against stamp duty and in the National Union of the Working Classes; a founder member of the LWMA and later partner with G J Holyoake in publishing anti-Christian journal The Reasoner; born 1799, died 1874. Richard Moore – Founder member and committee member of the LWMA; one of six LWMA signatories to the original Charter. Charles H Neesom – A tailor, originally from Yorkshire; joined the LWMA soon after its formation, but was considered a violent revolutionary; abandoned physical force and threw in his lot with Lovett; ran a booksellers’ business. A Morton – Founder member and one of six LWMA signatories to the original Charter. W J Linton – Wood engraver and, in 1851, a member of the National Charter Asociation executive; born 1812, died 1897. See biography on the Victorian Web.